NEW YORK (Reuters) -- General Motors bondholders may receive around 20 percent of the company's equity as part of a planned debt exchange designed to reduce the automaker's crippling debt load, JPMorgan said. GM's bondholders and the company have each hired advisers on how to complete a debt-to-equity exchange that the automaker expects will reduce its unsecured U.S. debt to $9 billion from nearly $28 billion. A reduction in the debt load and concessions from union workers are needed as part of a plan to restructure the company in return for $13.4 billion in government loans. GM spokeswoman Julie Gibson in New York said that while the company will not comment on analysts reports, GM would talk about its plan to get bondholders to swap debt for equity around Feb. 17 when GM is scheduled to present its viability plan to Congress. "We are working with the bondholders committee now," she said. Gibson would not say what percentage of bondholders GM needs to get on board. "We have an idea, but we are not talking publicly about it yet," she said. Asked if GM might have to consider Chapter 11 proceedings if bondholders didn't take the deal, Gibson said it is too early in the process to consider other options. JPMorgan analysts expect that bondholders will get around 35 percent of the par value of their bonds and come away with a 20 percent equity stake in the company, assuming around 50 percent of GM's bonds are exchanged. "We believe the equity upside combined with a takeout premium in an exchange make these bonds attractive," analysts Eric Selle and Atiba Edwards said in a report. GM's benchmark 8.275 percent bond due 2033 has fallen to 15 cents on the dollar from around 20 cents at the beginning of the year, according to MarketAxess. "We view the upside (driven by stabilization of U.S. sales volumes and liquidity enhancement measures) on the bonds as much higher and more likely than the downside of a potential bankruptcy," the analysts said. 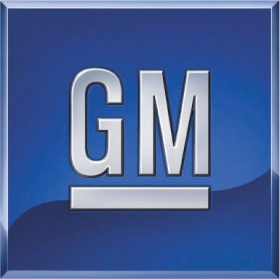 However, "we believe the threat of bankruptcy will have to return in order for GM to achieve the required restructuring goals," they added. And, "we are doubtful bondholders will exchange without a positive incentive (i.e. government guarantees of the exchanged notes)." JPMorgan has a hold recommendation on GM's unsecured debt. "We maintain our hold recommendation on GMAC's bonds as we believe overall economic conditions and the fate of GM may outweigh recent government support actions," the bank said.